Best Ball Joints for Dodge Ram 2500: Top-5 in April 2019! If you own a Dodge Ram 2500 and wonder about the suspension system, then consider that the system includes a number of components that include links, joints, bushings, and bearings all assembled together to support the weight of your truck and provide you with a smooth ride. 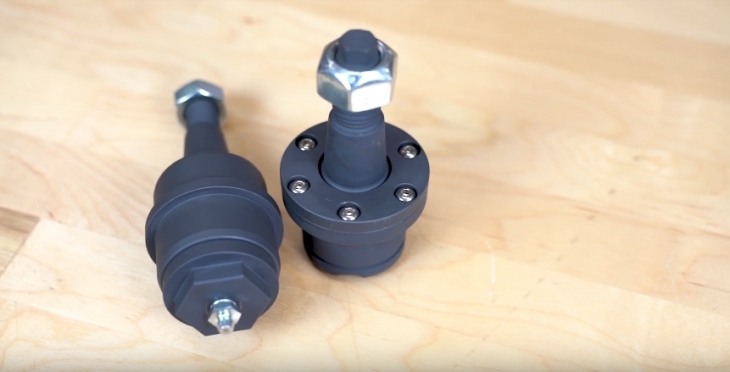 One of the key components in a front suspension system is the ball joint. The ball joint is a component that connects between the various links and delivers the pivoting movement between the steering knuckles and control arms. This action provides a safer, smoother and more controllable ride. 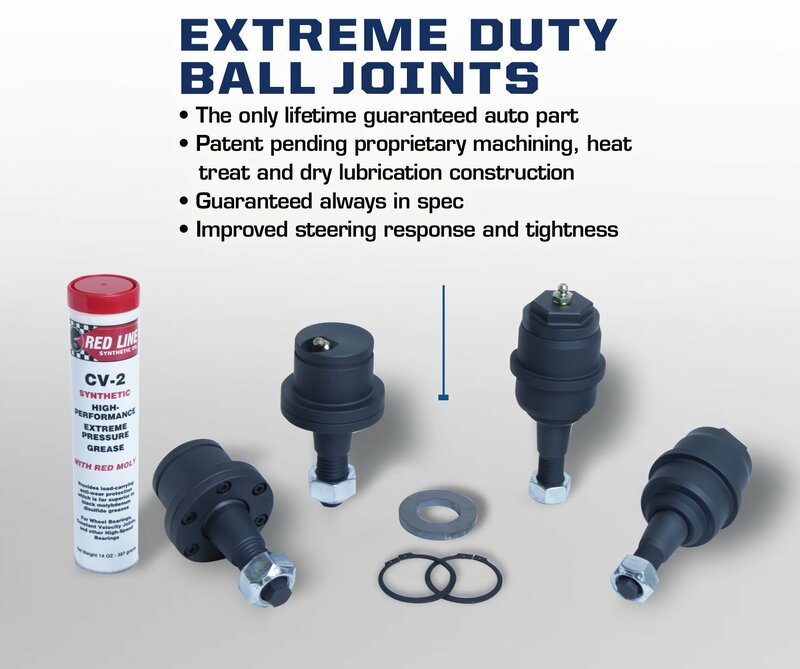 Ball joints are not complex components, but are precision items and also very strong ones, just like a thigh and hip joint, they need to support the full weight of your vehicle for the suspension system. In the following diagram, you can see the components of one type of ball joint, and its parts. 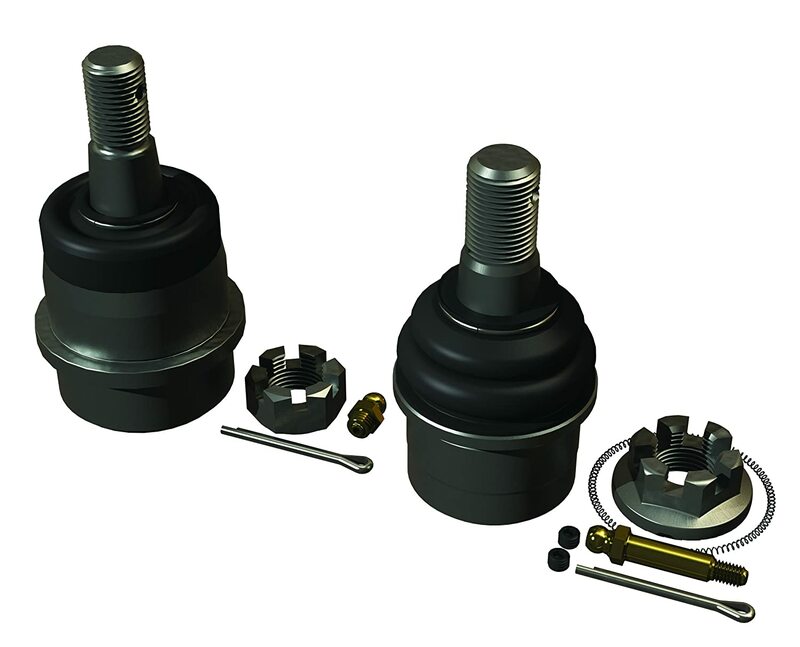 This is the Carli Suspension DBJP Ball Joints Extreme Duty 2003-2012 Dodge Ram OEM sized with a smooth surface. 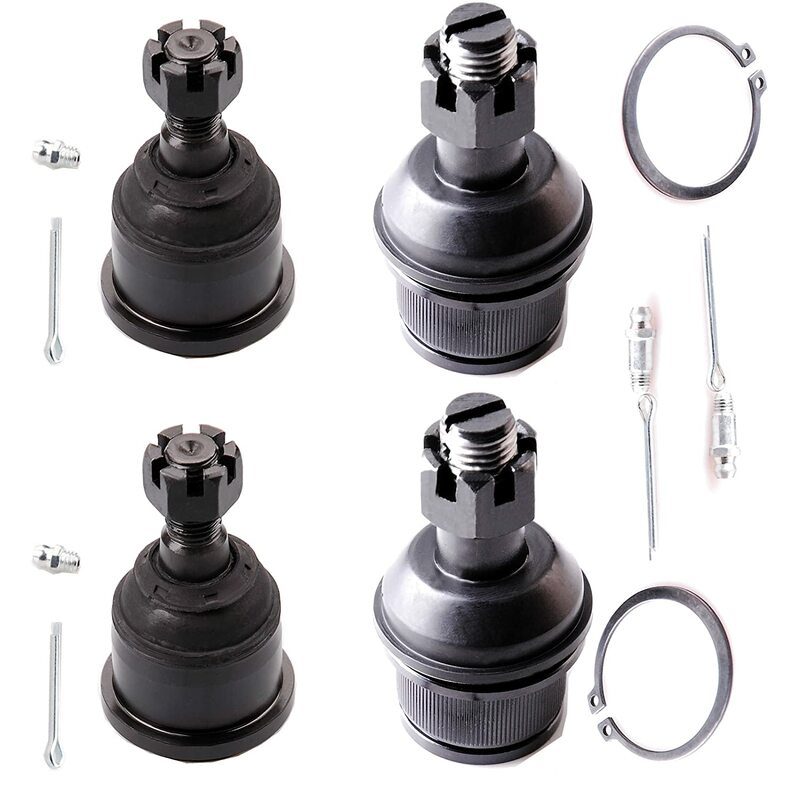 The Carli ball joint is a standard OEM replacement part and is designed to fit into the suspension unit as the original stock component. This model is made of billet steel machined and hardened to specific dimensions, and the ball joint head is coated with a dry lube finish. These parts come with a zerk fitting for easy maintenance. This is a high grade, heavy-duty kit, it’s a Carli model, which means it’s the top of the field for performance and accuracy. The price is accordingly high and is one of the most expensive OEM replacement kits around. 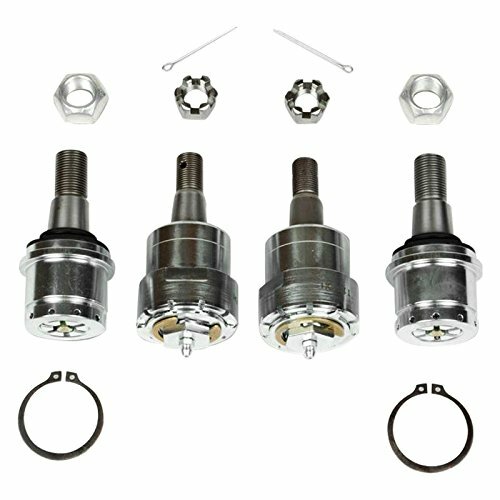 This is the Dynatrac Heavy-Duty BallJoints™ model for 2003-2012 Dodge Ram 2500. When it comes to performance grade materials and design, the Dynatrac models are rated at the top with Carli, and they deliver a very strong performance. These models are made from a heat-treated high-strength billet body connected to rugged Chromoly sites. This is a mil.spec model, where the ball is precision ground for ultimate performance. The unit comprises of special anti-contaminant seals, and the ball joints come with Teflon-coated wear points and greaseable fittings. Another great feature of this model is that it’s rebuildable, but only if you get it in time. While this model comes with a dandy price, it’s less expensive than the Carli and delivers similar performance. However, the price being less than the Carli is still a high price that comes with the high-quality mil. Spec performance of this model. 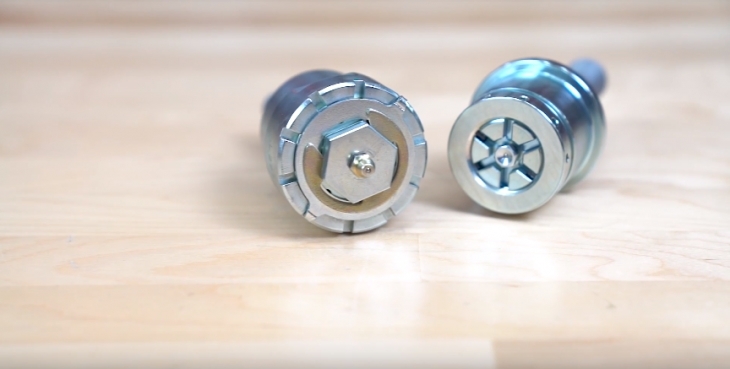 The ECCPP is a very basic OEM sized replacement that comes with a knurled body. The material is hardened steel for reliability and performance. This is a budget component aimed for the budget market, and not to be used for heavy duty or performance upgrade applications. This is for standard daily use only, and it is priced accordingly. 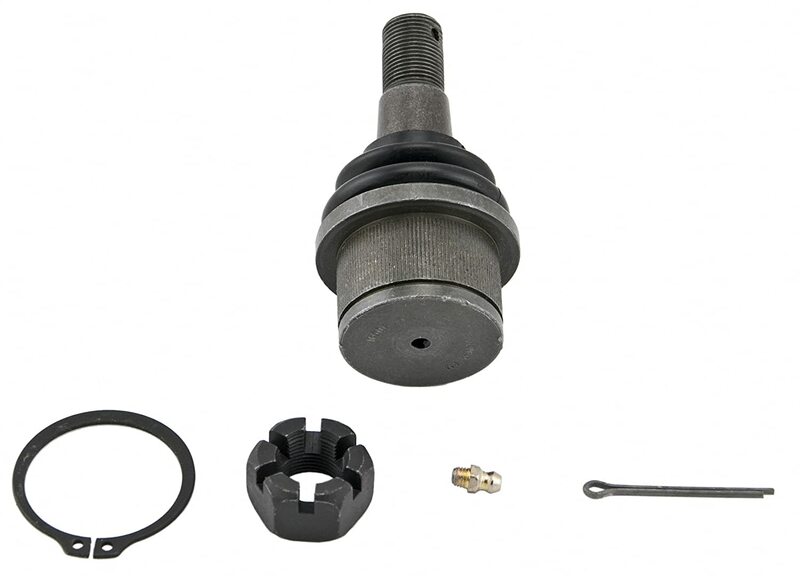 The Teraflex ball joint kit comes with some interesting features, and the best one is its incredible price, very inexpensive. This model comes with hard sintered wear bushings and a corrosion resistant Magnesium Phosphate coating. The 4140 Chromalloy stud is heat treated, and the housing is made of a rugged 1045 steel alloy. This upper body unit comes with a serrated flange nut and grease fitting. The lower ball joint unit is made from a hard tool steel alloy slotted wear that comes with grease channels for increased flow. This housing is also covered in a corrosion inhibiting magnesium phosphate. The ball is heat treated 30mm precision ground 4140 Chromalloy, and also comes with a serrated flanged castle nut. This is an exceptional model and is well worth the small investment, it is a classic OEM replacement and provides you with excellent performance and extreme durability. This MOOG® Problem Solver® part design features a powdered metal gusher bearing for easy grease flow to the bearing to the stud that reduces friction. The oversized housing is made from an engineered steel composition, and the stud is a precision ground component that is given 360° of smooth rotational movement. While this is one of the cheapest models on the market, it is a good aftermarket product. However the oversized design does cause issues with drivers that want a fast replacement, as such, this one will require professional assistance. Personally, if you are not a series car enthusiast with the right tools, and garage, I would belay replacing this component and trying to save a few bucks on work. It is always best to take this into a local mechanic for a professional service. 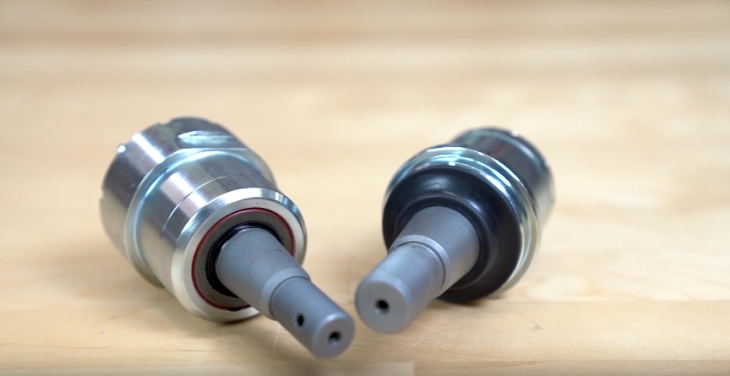 However, if you have decided that you are going to deal with this yourself, here are the tools and tips you need to replace your Dodge Ram 2500 ball joints. Take into consideration that a replacement job can take the better part of the weekend. Some ball joints are so well fastened you need to drill out the rivets. So, be prepared, this is not a few hours, it’s a load of hours and plenty of cursing. Remove the wheels, perform a standard wheel removal, but do this with the floor jack and use jack supports for the car since you are going to haul it up to working height. After the car is secured on the jack and the wheels are off, remove the brake calipers and discs. Now soak the ball joint bolts with WD40 or alternative. Pull the cotter pin, then loosen the castle nut. Now pop loose the ball joint, you might need a hammer to help push it through since the ball joint housing, and the steering knuckle joint hole have a tight fit. Using a wrench, remove the largest nut, then hammer a pickle fork between the control arm and the steering knuckle. Now you can either remove Allen bolts or drill out rivets, depending on the specific case. Take the new ball joint and guide it into the knuckle hole. Bolt the joint back into place. Torque the bolt per the manufacturer’s instructions. Screw the grease fitting and pump it with grease. Return the brake calipers and pads. Lower the vehicle and tighten the wheel lugs. The ball stud is designed to swing and rotate within the housing. The bearings inside the housing are usually made of a polymer or self-lubricating soft metal. The socket is filled with grease providing lubrication; the socket is designed to keep debris and water out thereby assuring a noise-free operation. The rubber boot opening of the joint is designed to keep debris out and grease in. You will know your ball joint is worn or damaged when you find your vehicle wandering across the lane, decreasing your steering control and feeling that wobble effect. There will also be some tire tread cupping and feathering, although that comes at a later stage, and depends on the hours of driving you to perform. The longer you don’t deal with the issue the more control you will lose over your vehicle until the ball joint will crack, or snap and you will lose the entire axle with the suspension unit and maybe even your entire truck and life if driving fast when it happens. So, now that you understand the importance of the ball joint, and understand that for off-road applications it is one of the most important components in your suspension, make sure you take care of them in time and replace them as soon as possible. 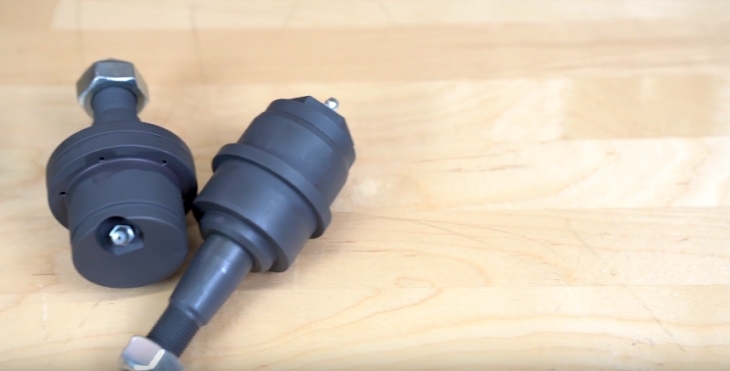 There are two considerations you need to take into account when replacing your ball joint; the original ball joint is a smooth body, non-enlarged component. If you decide to buy an enlarged or knurled body aftermarket part, you will never be able to return to the original component style. Something to consider when changing ball joints. Shocks For Ford F150 4X4 – Buyer’s Guide!